Here’s another recipe to satisfy your taste buds! This salad makes a great lunch during a summer day at work with it’s citrus flavors and crisp ingredients. 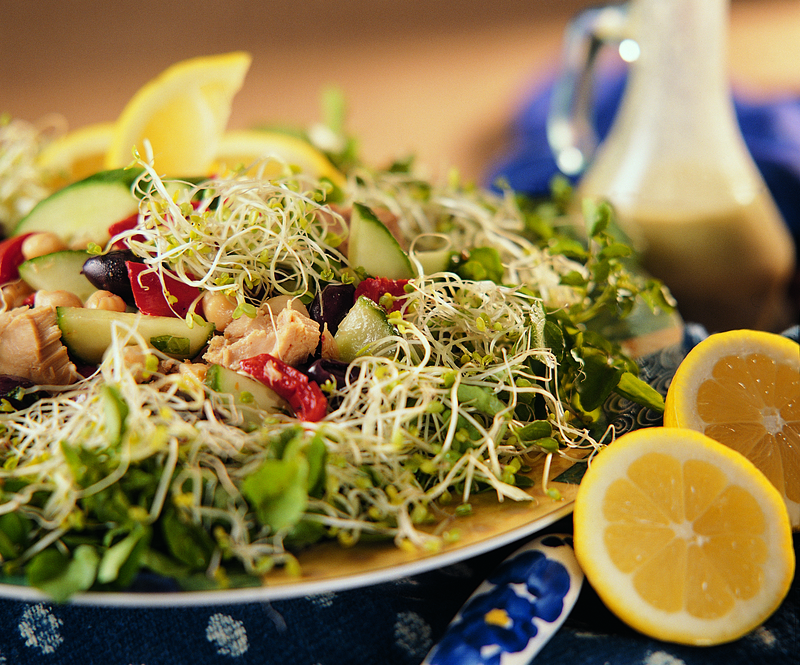 In a medium bowl, combine all of the ingredients except the BroccoSprouts and watercress. Toss to mix. Line salad plates with BroccoSprouts and watercress. Mound the tuna salad on top of the greens. Serve with Forever Citrus Dressing and keep chilled.